On Sunday I was in cinema and I was very lucky finding this postcard. KIF - means Kino in der Fabrik. The house was built in 1950 as a factory for tool engeneering. In 1990 the factory was closed - like many, many others in East Germany. 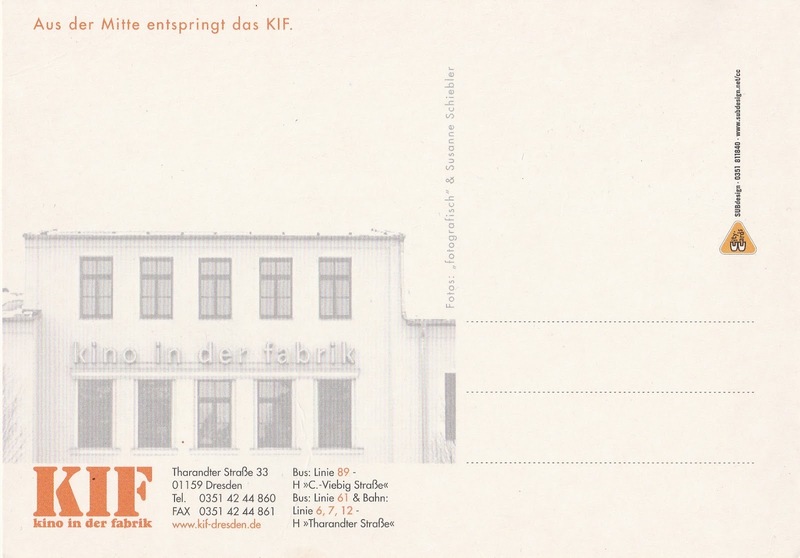 From 1993 till 2005 here played a theater called TIF (Theater in der Fabrik). 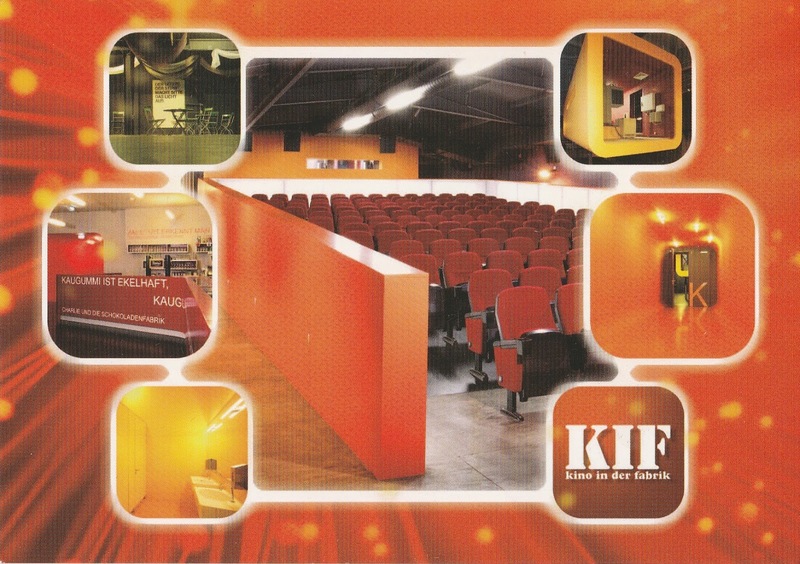 And on 16th March 2006 the cinema started after reconstruction work. The postcard shows hall K at the big picture and some details from the cinema in six little pictures. Notice the little picture top right with the room for the movie projector, and the little picture bottom left with the toilet rooms. Never seen on any cinema postcard before.